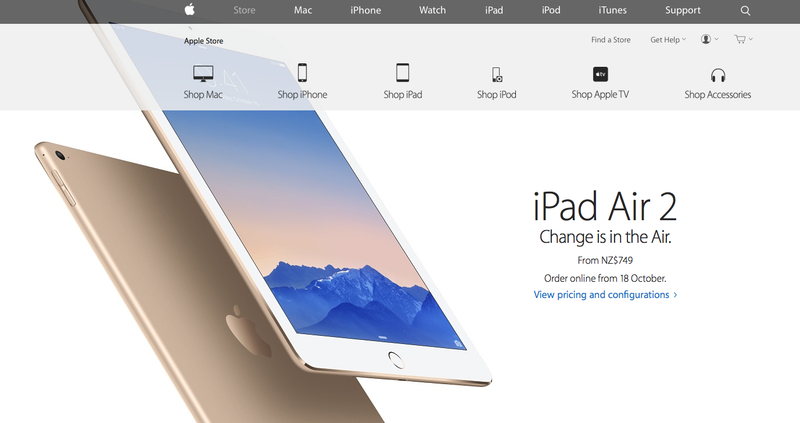 Stock-outs could signal the death of Apple’s iPad Air 2 ahead of expected lineup refresh — Inventory of Apple’s entry-level 9.7-inch iPad continues to dry up with a trio of new models rumoured to soon launch, potentially suggesting the popular iPad Air 2 will be axed for a new model with faster processor. Must-know Siri commands for Apple’s wireless AirPods — To keep AirPods as hassle-free – and aesthetically pleasing – as possible, Apple opted to completely replace physical controls with Siri voice commands, a first for the company. AppleInsider compiled a few key phrases new AirPods owners should know in order to get the most out of their purchase. 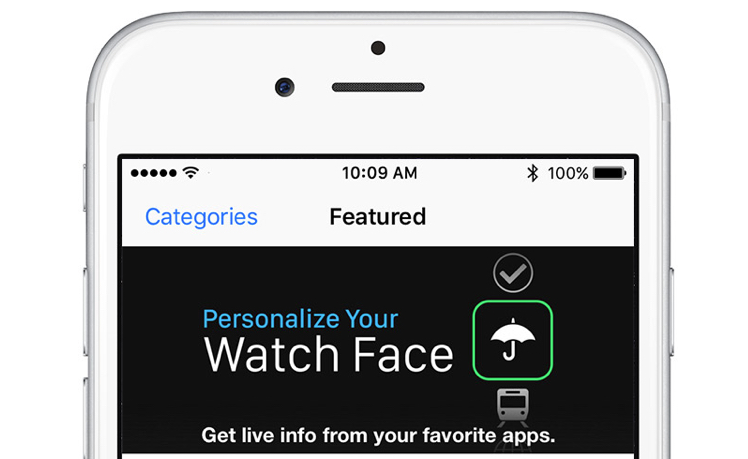 Blossoming world of Apple Watch Apps — A key feature to the Apple Watch’s much-improved app experience is the App Dock, new in watchOS 3. It brings significant changes to app performance and your ability to quickly open your most important apps, do your thing, and get on with your day: one of the Watch’s core purposes for existing. If you aren’t familiar, check out The Mac Observer’s quick tip on the App Dock, then come back here to find some great apps with which to fill it. And here’s how to find, install and remove said Apps, and how to force close Apple Watch apps in watchOS 3. 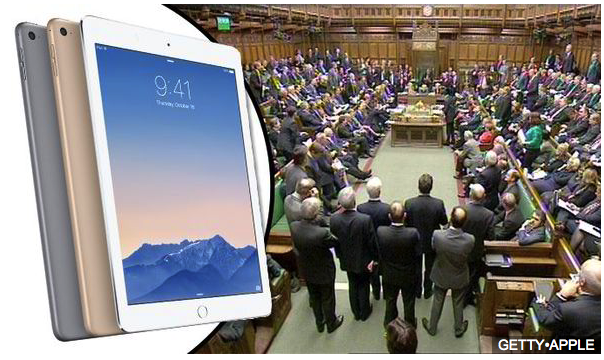 All 650 members of the British parliament will get iPad Air 2 and MacBook Airs after the election (picture from the Express). UK Parliament approves $1.5M plan to supply members with new iPad Air 2s, laptops — The UK’s House of Commons has decided to give each member of parliament a copy of Apple’s latest iPad Air 2, as well as a laptop, as part of a project that will cost taxpayers almost $1.49 million. iPads have already been used across the House since 2012.
iOS 8.3 allows users to turn off password requirement for free App Store downloads — Apple’s pre-release betas of iOS 8.3 include an option to disable password entry when downloading free applications from the App Store, removing a potential inconvenience for users. You won’t believe the fast fingers of this iPad and iPhone 6 Plus drummer — Faced with limitations due to his living arrangements, drummer and YouTube user Appleman has made the best of his situation, opting to use GarageBand and other apps on an iPad and iPhone 6 Plus to lay down some spectacular tracks. 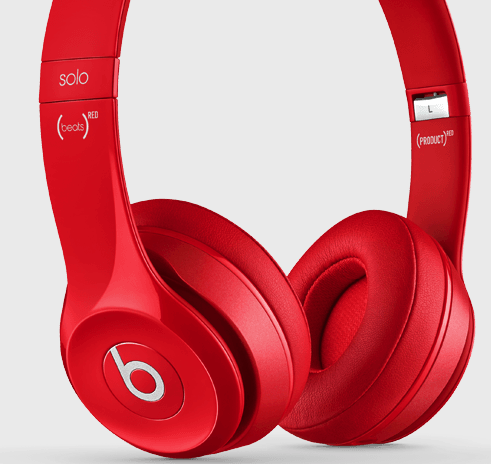 Especially impressive is how he uses the 6 Plus along with the iPad to expand his available repertoire of beats. 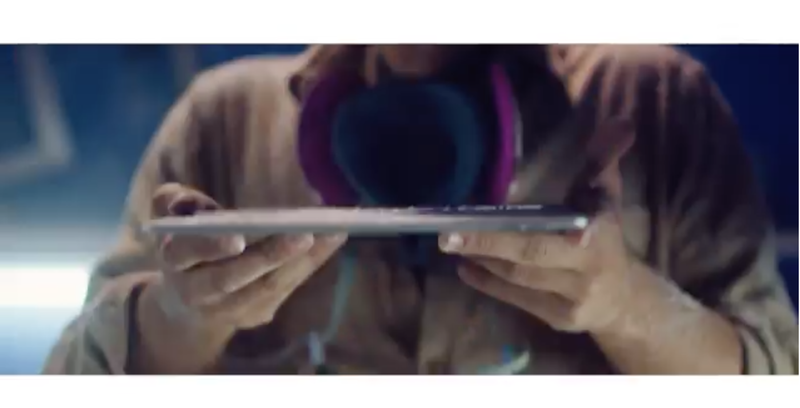 Apple’s latest iPad Air 2 ad is departure from ‘Your Verse’ campaign — Apple on Sunday released an ad (pictured above) highlighting its newly launched iPad Air 2 that, like recent commercials for iPad, chooses to demonstrate the tablet’s flexibility by showing off a variety of apps, from productivity solutions to multimedia content creation. Microsoft Office apps for iOS reviewed — Presenter View feature makes the subscription version worth it. Microsoft Word for iOS is a “classic word processor shines on every device“, and Microsoft Excel for iOS lets you create and edit spreadsheets on any device, at no cost,]. 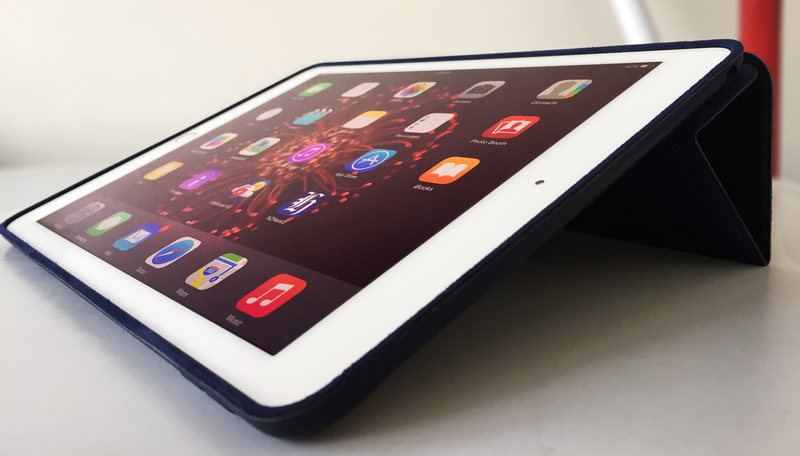 Review iPad Air 2: slimmer, faster, better – it’s all true. Best iPad? Best tablet! Ever. At just 6.1mm thick, it’s hard to believe a device this slim can do anything, but it’s packed with high-tech, Apple-developed goodness and a remarkable new chip. Speeds and timings — Startup time is not such a useful test any more, since iDevices keep apps running in a sort of memory, and that can slow start-up time, but in these examples I quit everything with the double-click of the Home button trick and swiping all the app panels upwards (just threw that in there to make sure everyone actually knows this is how you really quit apps – pressing the Home button once just hides apps, it doesn’t quit them). The two iPhones have the same CPU, as do the two minis. Geek bench 3 does a better measure, and also uses criteria that are as meaningful for other platforms, so genuine cross-device performance can be indicated. But iPad Air 2 (but not the new mini 3, unfortunately) has an even more powerful chip: the A8X. That presents the fastest ever CPU in an iDevice, and in fact in tests it beats all the other tablets too, for example LaptopMag, also using Geekbench 3, clocked the iPad Air 2 notched 4,547: over 1.5X higher than the Samsung Galaxy Tab S 10.5 (2,776 with its ‘octa-core Exynos CPU’) and more than 1000 higher than the Tegra K1-powered Nvidia Shield Tablet (3437). iPhone 4, by the way (in my test back then in 2010): just 378! My own Geekbench 3 score of an iPad Air 2 was confirms LaptopMag’s figure: 4549. The single-core speed was 1812, a couple of hundred above iPhone 6: only just over 11% better – but the multi-core score is almost 57% better – quite dramatic. This A8X chip is 64-bit (of course – Apple’s are still the only smartphones and tablets that are 64-bit) and has an extraordinary 3 billion transistors on it. It’s also three-core, and the Air 2 has 2GB RAM – a real advantage. Apple reckons this puts it into the desktop computer class and … that’s actually true: I Geekbenched a new iMac in mid 2007 that only showed half that score, at 2877! A 2010 MacBook Pro 13-inch running an Intel Core 2 Duo CPU at 2.66GHz (it had one processor and two cores) was under the iPad Air 2 figure at 3963 – lots of people are still happily using this level of power on their desks. In real use on the Air 2, your drawing programs no longer show any perceptible lag then you use your finger or a stylus to draw lines and curves, which is a boon. Games really pop, thanks to the very-high-definition screen which has an impressive brightness and viewing angle compared to the last model. Its anti-glare quality actually puts it in a better class than the Sapphire surface Apple was rumoured to be considering as a touch-surface on something smart. Movies also look sensational: airline monitors are miles behind in quality and you’ll get a far better experience loading a new Retina iPad up with some movies and watching them on long plane rides, not to mention way better audio quality and comfort. Spec-wise, it’s 9.7 inches diagonally, with 2048×1536 pixels total resolution (3,145,728 total pixels). Apple claims the graphics in the Air 2 is a full 2.5 times faster, with wireless twice as fast. Apple also claims 10 hours battery life, apparently because the M8 motion co-processor takes the measuring overhead away from the A8X. There are five censors for the M8 to monitor, after all: gyroscope, barometer, compass, GPS and accelerometer. That takes quite a load off the A8X. Apple’s figures are all on the Apple site, of course. Other advances and changes — the camera is better than Air 1’s, giving you a level of use and quality more like the iPhone 6s’. I still laugh when I see people shooting pictures and videos on large iPads, but if that’s you, sorry – and at least you going to get better results now. Both new models have Touch ID, and you can enter more than one print, so you’re not limiting it to one person’s use. One thing that’s missing is the Mute switch, sacrificed to help slim the device. You can achieve the same from Control Center anyway, I guess, but it’s going to take a second or two longer. I don’t get to compare this to other tablets, because A I don’t want to use them, and B I don’t have the resources, but Macworld UK has done so, and makes the point that although Android smartphones can draw from an excellent range of apps, there’s a “lack of productivity apps optimised for tablet in the Android world”. Macworld UK has a sister publication called PC Advisor which gets to test other devices, so they get to compare. Macworld also found the iPad Air 2 beat everything else in hardware, too. It’s just faster. It’s also almost 2mm slimmer than the Nexus 9, even though the Air 2’s display is slightly bigger, although the iPad Air 2 weighs a few grams more. Design and build is rated the same – if you like or need comparos, this is a good read. Conclusion — for serious work or serious entertainment, this new iPad is in a class of its own. It’s both staggering and impressive that something this slim can be so powerful. 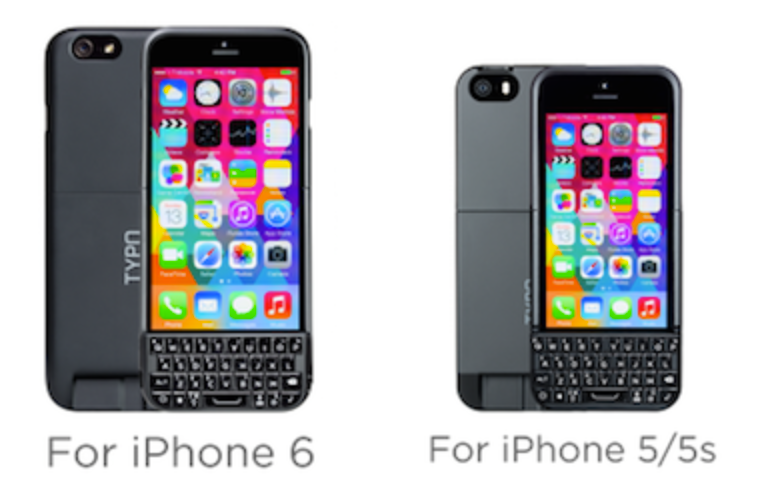 Apple has done it again. What’s not — Er … well, it’s not cheap, but it’s a very similar in price to any competitor’s tablet that even comes close. So no worries on the price front. I’m not impressed with the new gold colour though. There’s probably a market for this, but to me it’s just tacky. Buying advice: unbeatable — If you are serious about your iPad, this is the must-buy model. But don’t bother with the 16GB, you’ll fill it in no time flat. iPad Air 2, RRP $729 (16GB wifi), $899 (64GB wifi) $1049 (128GB wifi); wifi/cellular 16GB $749, 64GB $1099 and 128GB $1249. Note — I’ve not noticed the ‘0% interest for 6 months’ deal on the Apple NZ online store before. Next: iPad mini 3: a decent mini iPad if you want a mini, but well behind the iPad Air 2 in specs and barely a step up from the 2. In-depth review: Apple’s iPad Air 2 and iPad mini 3 — Daniel Eran Dilger finds Apple’s latest iPad Air 2 and iPad mini 3 incorporate Touch ID and support for Apple Pay within apps, with the same 10 hour battery life of previous models. The full size iPad Air 2 is also now 18 percent slimmer with an improved, antireflective display and gains a faster A8X chip, faster 802.11ac Wi-Fi and LTE wireless, a barometer, and a significantly improved iSight camera. Apple’s new iPhones outsell the Galaxy Note 4 in Samsung’s home country, Korea — Apple’s new iPhone 6 and 6 Plus iPhones are outpacing the sales of the Galaxy Note 4 on Samsung’s home turf in South Korea. According to the Wall Street Journal, pre-orders for the new iPhone models reached 100,000 units on the first day, compared to 30,000 for the Note 4. 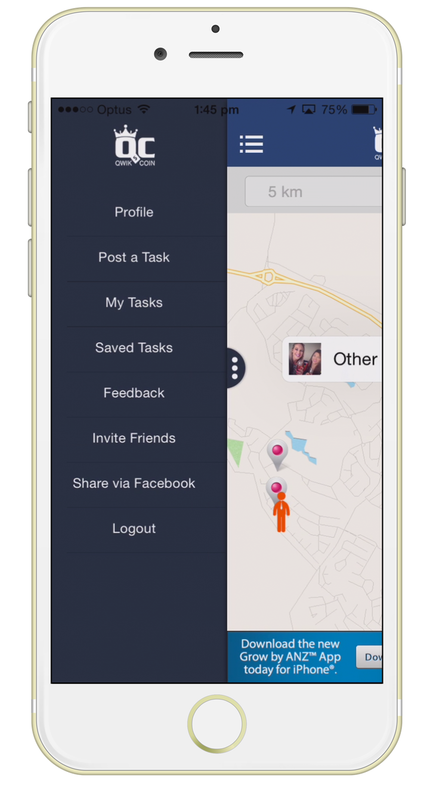 New Kiwi App set to boost work for Job Seekers — An ex-special forces soldier looking for ways to help his grandmother find work in New Zealand has created a new app, designed to connect freelance workers with local people looking to outsource work (pictured above). Qwik Coin is now available to download for free on the iTunes Store and it’s coming soon to Android. Magic Hour for iOS offers almost unlimited filters — Magic Hour (NZ$2.59) offers 38 preset filters with the ability to modify and save them, allowing an immense number of options for modifying photos. 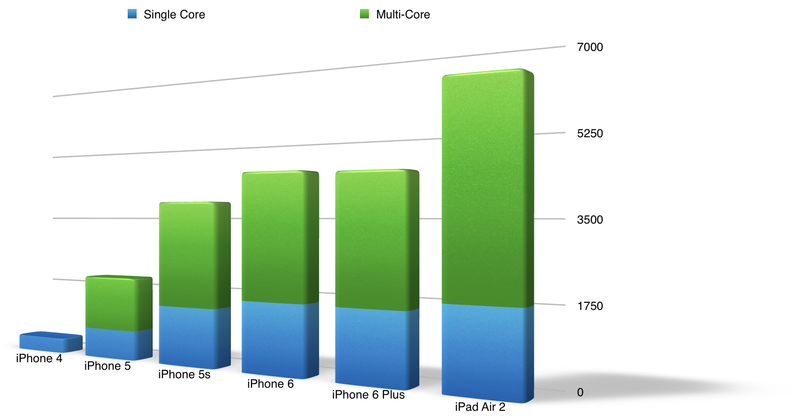 Three cores make good in the new iPad Air – the top-most bar in the graph. Apple’s new A8X powered iPad Air 2 smokes new Android tablets, including Nvidia’s Tegra K1 Shield Tablet [u] — New Geekbench processor benchmarks show Apple’s triple core, 64-bit A8X Application Processor is dramatically faster than the latest Android tablets, despite their additional cores and faster clock rates. What’s Apple doing with the iPad Mini 3? 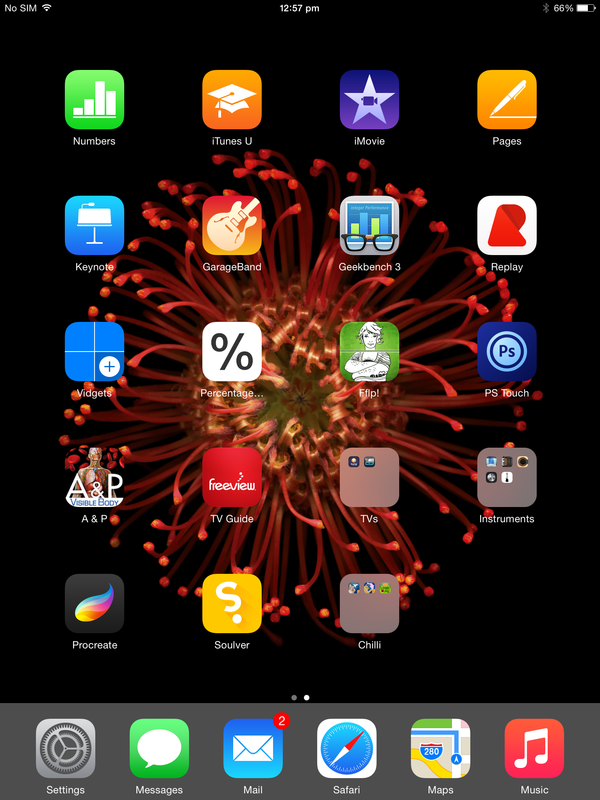 To say that Apple glossed over the iPad Mini 3 last week would be putting it mildly. Apple spent just 35 seconds discussing the device because the iPad Mini 3 is essentially the same device as the iPad Mini 2, apart from Touch ID and new colour options. The first Apple Pay ad (from MasterCard) aired during yesterday’s World Series game — The first nation-wide advertisement (or perhaps mention is more appropriate) for Apple Pay hit the airwaves yesterday during game one of the World Series. The ad was a MasterCard production, with a narrator stating that Apple Pay users are eligible for MasterCard’s ongoing ‘Priceless Surprises’ sweepstakes. You can see it here. Apple Pay works in overseas (if you pretend you’re in America) — Apple Pay does indeed work in Australia, but only if he tells his phone he’s in America. Potent converter — Calvertr (NZ$3.79) is a clever evolution of the standard calculator and conversions app. A basic calculator, it really shines is in conversion. It supports 157 different monetary systems around the world to convert, plus categories are searchable, conversion data can be shared with friends, and the app lets you share a note along with results. There are astronomical, calendar days between dates, radioactivity, ROI, fuel consumption and many more conversions from the mundane to the arcane including viscosity and torque. AppleInsider 2.0 for iPhone and iPad free from Apple’s App Store — AppleInsider has announced the release of a major update to its universal iOS application on the App Store, delivering a fresh new look, unified subscription features across the iPhone and iPad, favorites, advance font preferences, offline reading, Instapaper support and more. Vine iOS 8 update — Vine’s last major iOS update finally let you upload clips from your Camera Roll, which was a major functional improvement. The video-sharing app, which lets you shoot six-second loops, dropped version 3.0 on our Wednesday: an iOS 8 update that takes full advantage of Apple’s new tools. From NZ$749, the new iPad Air is thinner and faster (picture from Apple Inc’s NZ site). iPad mini 3 gets Touch ID for $399, first-gen iPad mini stays on sale with a price drop — Apple’s diminutive iPad will also receive an update this week, the company announced Thursday, in the form of the iPad mini 3, which features a Touch ID fingerprint sensor and new gold colour option. NZ prices (inc GST): $599 for the 16GB, $749 for the 64GB and NZ899 for the 128GB. Apple announces 6.1mm-thin iPad Air 2 with Touch ID, anti-reflective coating, new gold colour option — Apple’s next-generation tablet became official on Thursday with the introduction of the iPad Air 2, featuring a Touch ID fingerprint sensor, new anti-reflective screen coating, and the speedy new A8X chip. Prices are NZ$749 for the 16GB, NZ$899 for the 64GB and NZ$1049 for the 128GB (all prices inc GST). iPhone 6 largest launch ever — Tim Cook emphasised at the above launch that, taking the upcoming Chinese launch into account (with all three carriers there participating, a first), the iPhone 6 has been the largest iPhone launch ever. Apple announces iOS 8.1 with Camera Roll, iCloud Photo Library — As part of the above October press event, Apple announced several upcoming features it is adding to iOS 8.1. The next major release of iOS 8 [which we’ll get early next week] will see the return of the popular camera roll, which was replaced in iOS 8 much to the chagrin of iOS users. Apple announces WatchKit SDK for developers, launches in November — In preparation of the upcoming Apple Watch launch, Apple on Thursday announced a new software developers kit called WatchKit for creating apps tailored for the company’s highly anticipated wearable device. Reddit acquires popular iOS app Alien Blue — Despite its stunning popularity and influence across the internet, Reddit has lacked an official app for actually using the service on mobile devices. It has an AMA (ask me anything) app, but nothing for everyday use. This has left users to browse the site using third party apps or their mobile web browser. Rather than developing their own app to fill this gap, Reddit has simply purchased Alien Blue, the most popular iOS client for the site. Skype for iOS updated for optimised iPhone 6 experience — Microsoft has released a new update for Skype’s iOS app offering users with the larger iPhone 6 and 6+ an optimised user interface. In addition, the app now allows users to mark individual conversations as read/unread, disable notification sounds in “do no disturb” mode, and increased metadata in contact profiles. Here’s the company’s official summery of the update.